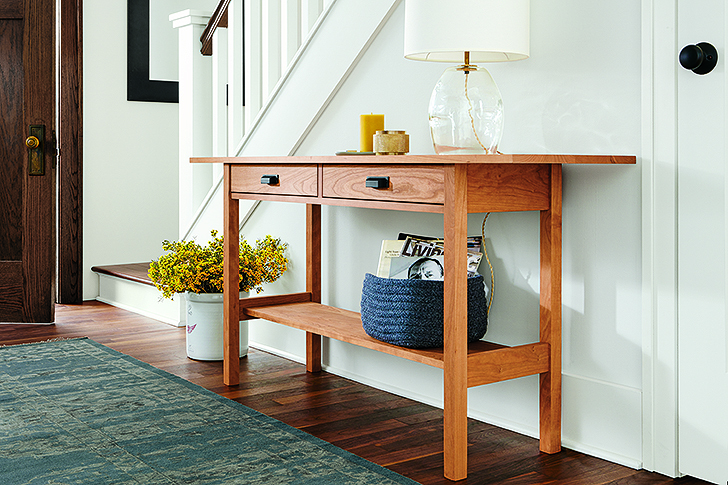 Kerns Console Table in Cherry with Kori Storage Bin in Indigo. Whether it’s a spring cleaning blitz or a quick tidy up, organizing our house feels so good. Adding the right tools makes it easier to create—and maintain—a neat, beautiful home. Here’s a round-up of some of our favorite American-made solutions for your space. 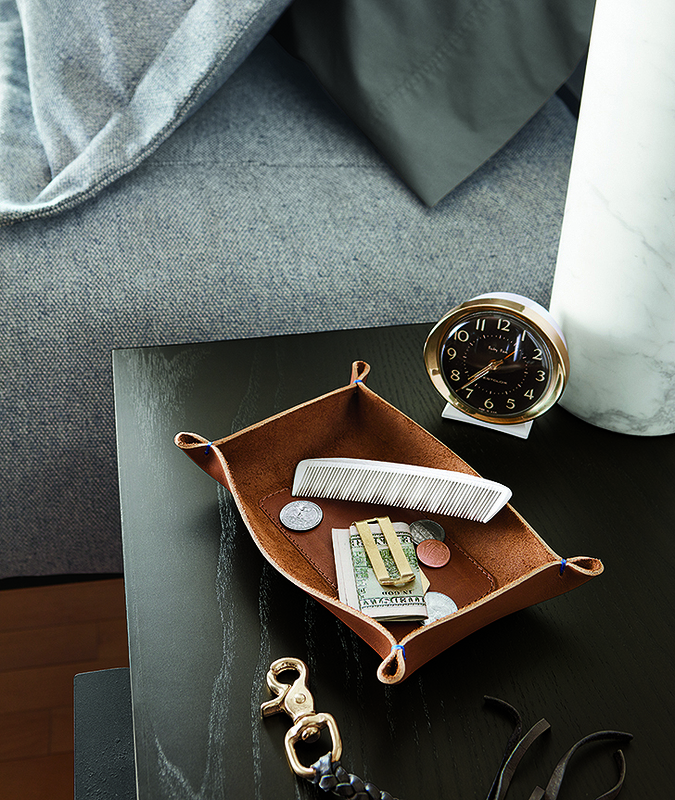 Corral your keys, loose change, and cufflinks in our Brando leather tray. The corners are stitched with cobalt blue thread for a unique pop of color and the bottom lining is sewn in for extra stability. 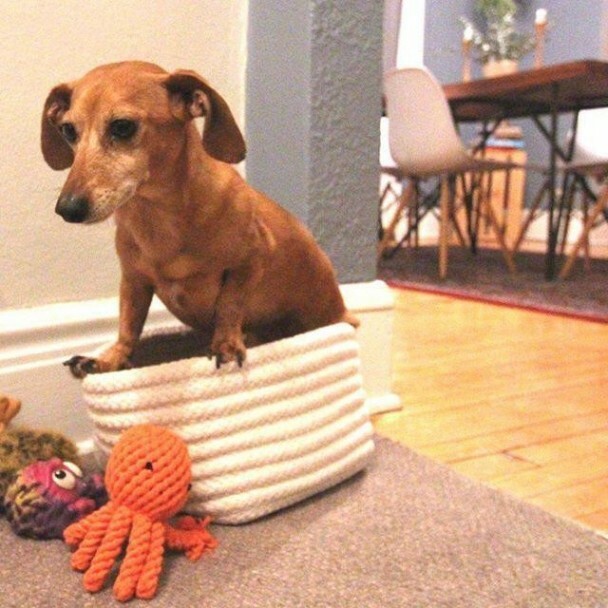 Our braided wool Kori storage bins are perfect for holding dog toys. Or your dog. (We love to see your pets in action! Share a photo to our Customer Photo Gallery and tag it with #roomandboardpets. 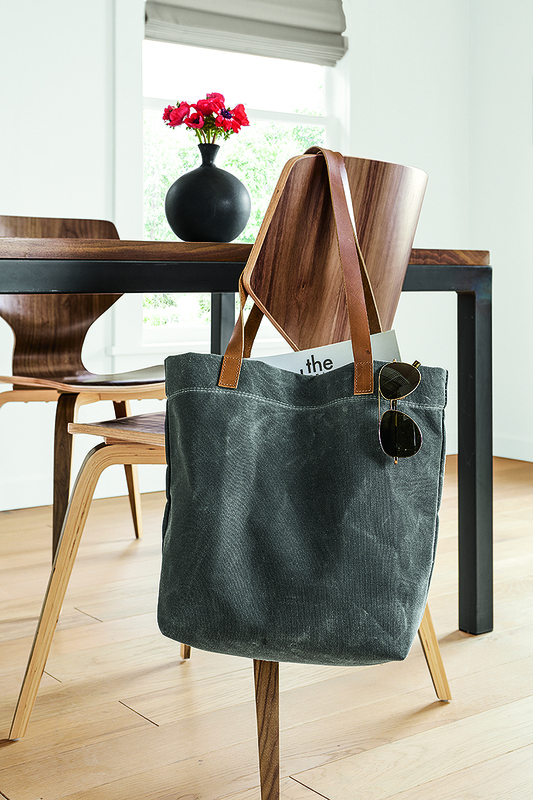 Rugged yet sophisticated, our Mercantile tote goes from home to office with modern style. Made with water-resistant waxed canvas and domestic leather, so it will only get better with use. Keep track of invitations, permission slips and appointments with our Agenda magnetic boards. We include five strong walnut magnets to help you start. 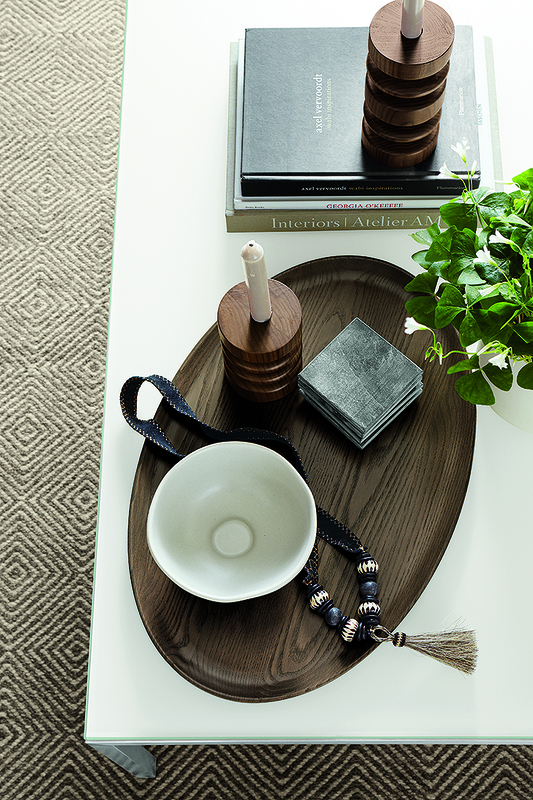 Our solid ash Meredith tray keeps coffee tables organized. You can also use it to serve drinks or appetizers, thanks to a food-safe finish.